Spending three weeks immersed in technology innovation and content creation sounds like a corporate development programme for a mid-level professional. For 15 youngsters, however, this was exactly their experience at BrightPath Foundation’s TT.TechCamp, which came to a formal close last week in Port of Spain, Trinidad. 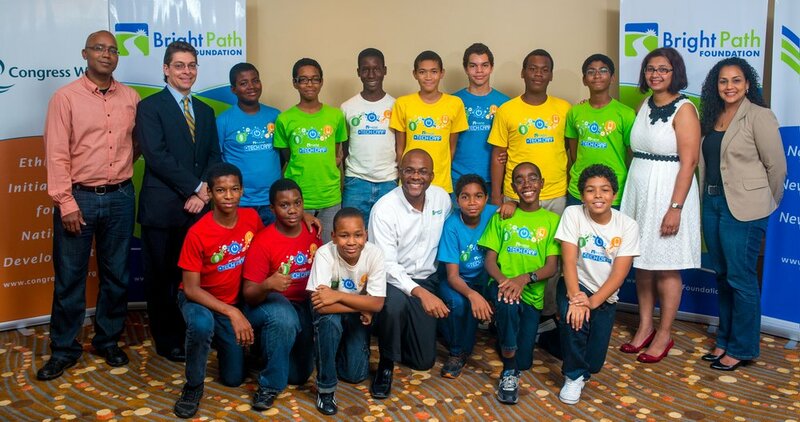 The initiative was the brainchild of BrightPath’s founder and executive director, Bevil Wooding. His Trinidad-based non-profit foundation provides a range of technology education programs targeting youth, seniors, schools, community groups and governments. “The TT.Tech Camp was designed to give participants an understanding of tech innovation, software programming and local content development. However, our real objective goes beyond that. We seek to showcase the talent, creativity and promise that we believe exists in the minds and hearts of our people,” Wooding shared. The TT.TechCamp was hosted at the Executive Training Centre of KR Consulting Ltd. Kyle Rudden, KR’s owner and managing director, was impressed with the levels of camaraderie and collaboration and how quickly participants embraced their responsibility to create local solutions. The TechCamp far exceeded the expectation of Kevin Khelawan, Chief Operating Officer at Teleios, a Trinidad-based software firm, and one of the event sponsors. In addition to teaching about local content, software development and innovation, the BrightPath TechCamp featured visits to Flow Trinidad, Gayelle the Channel, Damian Luk Pat Photography Studio, Microsoft T&T and the South Academy for the Performing Arts. These businesses allowed participants a behind the scenes look at how they function and gave the youth an opportunity to interact with industry professionals in their work environment. The Trinidad TechCamp received support from local private sector firms including Teleios Systems, Columbus Communications, TSG Consulting, ArkiTechs, KR Consulting, Double X Workshop and Relate Studios. TechCamp participants were drawn from the Caribbean, United States and the UK. “I am totally blown away by the positive impact this event has had on the participants. This was much more than a technology camp. This was a life changer,” Yaw Ching said.